Our teachers have received rigorous musical training from a recognized institution, and they’re not just hired because of their scholastic degrees but also because of their experience and know how in teaching. We teach students of all ages from as young as 5 years old to seniors, from the very beginner to the exceptionally advanced. We offer every new student the opportunity to meet with a teacher before beginning lessons. Simply make an appointment through the office, come in, chat, and then decide. There’s no charge for a 10 minute interview. If you’d like to have a one-time trial lesson with a teacher, you can do that too. Just pay for one 30 minute lesson with the teacher. There’s no obligation to continue with lessons, no contracts and we never charge a registration fee. Our teachers are often preparing students for college entrance exams, auditions and competitions. Our diversified teaching staff allows us to place you or your child with just the right teacher for you. Judy is the Director of the Wandering Minstrel Music school. Judy is a music lover and pianist who brings over 30 years of teaching experience, and an earnest desire to support each student’s artistic experience. As the Director, Judy recognizes the need for high quality lessons that should be a positive and lifelong experience, and of course she is always willing to laugh with all of her students with the hope that they genuinely have fun while learning something new. Judy believes that music should be a part of every child’s education, but should also be fun, motivating, and inspiring. 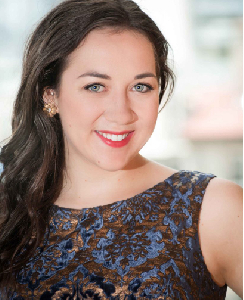 She also believes that music is a family affair, and encourages students to perform in duets with sibling or parents or in ensemble with friends. Judy started her formal piano lessons at the Royal Conservatory of Music with noted piano teacher/composer Douglas Finch and later with Susan Hamblin-Dennis. 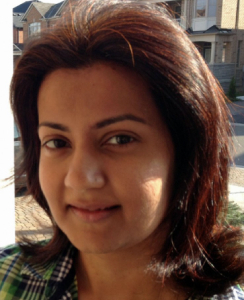 She began her teaching career at the Academie Ste. Cecile Music Academy while simultaneously completing her studies at the University of Windsor. After university her ambitions turned to orchestra management and the business side of the music world. The combination of a passion for music, good teaching instincts, and a fearlessness of the business aspect eventually led to her ultimate achievement – becoming the Director of the Wandering Minstrel. 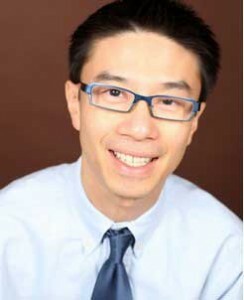 Wilson Man holds an ARCT in Piano Performance, a Licentiate in Piano Performance and Pedagogy from The Royal Conservatory of Music, and a Bachelor of Music from the University of Toronto. Wilson is a senior examiner and member of the College of Examiners of the Royal Conservatory of Music, Wilson travels extensively across Canada as an adjudicator for music festivals. Wilson is a very experienced and sought after teacher. He has taught high school music and prepared students for both piano and theory courses for RCM examinations for over 20 years. He places great emphasis on developing student’s technical and artistic skills and his results-oriented approach has helped his students to achieved excellent standings in the RCM Examinations and successfully apply to several university music programs. 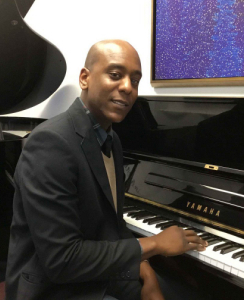 Wilson teaches both beginner and advanced piano students. He specializes in preparing piano students for the Royal Conservatory of Music Grade 8 to 10 exams, the ARTC exams, and for university auditions. Click to read Wilson Man’s RCM profile. 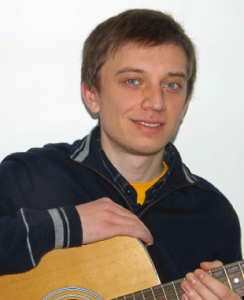 Maciej teaches beginner to advanced vocal students, as well as beginner to intermediate piano students. Maciej has worked with students of all ages, helping them master their voice or piano in musical genres ranging from classical, gospel, music theatre, and folk songs. For singers, he focuses on teaching students how to find their own vibrant, free vocal tone, while emphasizing breath support and control, as well as ear training and musicality. For piano student he lays a strong foundation for the basics in rhythm, ear training scales and repertoire. With his warm and friendly personally, student of all ages will feel welcome and enjoy learning from him. A gifted singer an experienced performer, Maciej has taken part in many concerts, competitions and solo concerts. Maceij has a Master of Music, Voice from the University of Ottawa, an Artist Diploma in Voice from The Glenn Gould School of the Royal Conservatory of Music, and a Master of Arts, Voice from the Kiejstut Music Academy in Poland. Maceij is fluent in Polish, English, Intermediate German, basic Italian and French. Stephanie teaches beginners to advanced students of all ages. Though her specialty is classical music, she has extensively performed in musical theatre productions, jazz showcases, choral ensembles, and even as a collaborative pianist. She helps each student to discover a deep understanding and love for music! Stephanie has successfully prepared students for RCM exams, entrance to the Cawthra Park Regional Arts Program and university auditions. Besides being a multifaceted artist, Stephanie’s altruistic endeavors continue to support humanitarian causes by organizing charity concerts. 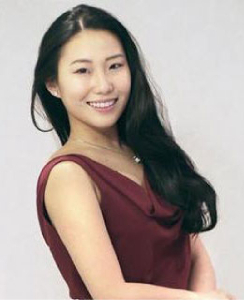 She began her Bachelor’s degree at the prestigious Eastman School of Music in Rochester, and continued her studies at York University. Some of her accomplishments include singing the role of Oscar in Un ballo in maschera with the Toronto City Opera, singing at the Residenz du Salzburg as a Young Artists’ Award winner and being a participant of the International Gugak Workshop at the National Gugak Centre in Korea. Stephanie is based in New York City and online lessons are arranged at a mutually convenient time. Mwansa loves teaching piano lessons and voice lessons and is thrilled to be able to pass along her love of music to her students. As a vocal instructor, Mwanwsa takes great pleasure in teaching others how to perfect both their vocal craft and performance skills. With her strong background and knowledge of R&B, soul, pop, and jazz styles, Mwansa has successfully taught for over 10 years. 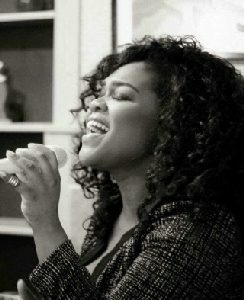 Mwansa is known for her “powerful yet sultry” vocals. She has been actively immersed in the southern Alberta music scene having studied both classical music at the University of Lethbridge, and jazz and contemporary styles of music at Grant MacEwan University. Julia teaches all levels of voice and piano, as well as theory, composition, and improvisation. Although she comes from a strict classical background, she is happy teaching and performing all styles of music with her students from classical to jazz, music theatre and opera. She is an experienced and talented professional and brings a thorough knowledge of music to the lesson that comes from a rich background in the music industry. She also brings an energy that will inspire you to push your talents and thinking beyond what you thought were your limits. Julia hold a B. Music and Pedagogy, and a Diplomas in Jazz Arranging/Composition and Piano Performance from Humber College. Julia has been a Piano and Voice Teacher, Accompanist, Program Coordinator and Ear Training/Theory Tutor in the Windsor, and Toronto areas, and has performed at the St. Lawrence Community Centre, Rosedale and Beaches School Youth Choirs. Kimberley teaches beginner to advanced voice students, and beginner to intermediate piano students of all ages. Kimberley started singing and piano at the age of seven. 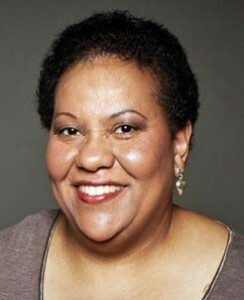 Although her background is mostly in classical music and opera, she has performed musical theatre and choral music. Kimberley has prepared students for RCM exams, Rotary festival competitions and auditions for Cawthra Park and Iona Catholic schools regional arts programs. Kimberley graduated from the prestigious Glenn Gould School of The Royal Conservatory in Toronto with a bachelor in voice performance. She is an active performer in the GTA having performed with The Mississauga Symphony, Toronto Operetta Theatre, Vera Causa Opera and many more. Jordan is a highly skilled and trained classical and jazz pianist, vocalist, composer and drummer. As a music educator, Jordan believes that it is his responsibility to provide well-prepared quality instruction to help each student realize his or her own potential and abilities. He also believes that every student, no matter what challenges they are faced with, can benefit from music instruction. From beginner to advanced level young musicians, Jordan believes that there is always a solution for every technical and musical problem and thrives on helping students find those creative solutions. Jordan has graduated from the Humber College majoring in piano and completed his undergraduate degree in music at York University. He has also completed his Master’s degree at Five Town College in New York City. He has written music for educational purposes, media purposes, and cultural interest group purposes. In addition to writing and performing with the progressive rock band JOJETO, Jordan’s drumming has been featured on numerous albums and commercial soundtracks, and his jazz compositions have been featured on Canada’s CBC Radio. 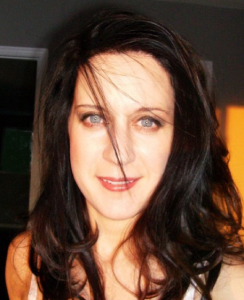 Laura has her Master’s degree in Music and has been teaching music for over 20 years. With experience in all types of teaching, Laura’s philosophy is the importance of making music lessons fun; incorporating weekly challenges, interesting music and interactive performances to motivate students in achieving their full potential. Some of Laura’s accomplishments include singing soprano with the Montreal Ballet, the Toronto Mendelssohn Choir, several jazz choirs and classical concert choirs, piano accompanist and soloist in concerto competitions, jazz and rock keyboardist in several ensembles, as well as being the front singer in pop and rock bands. 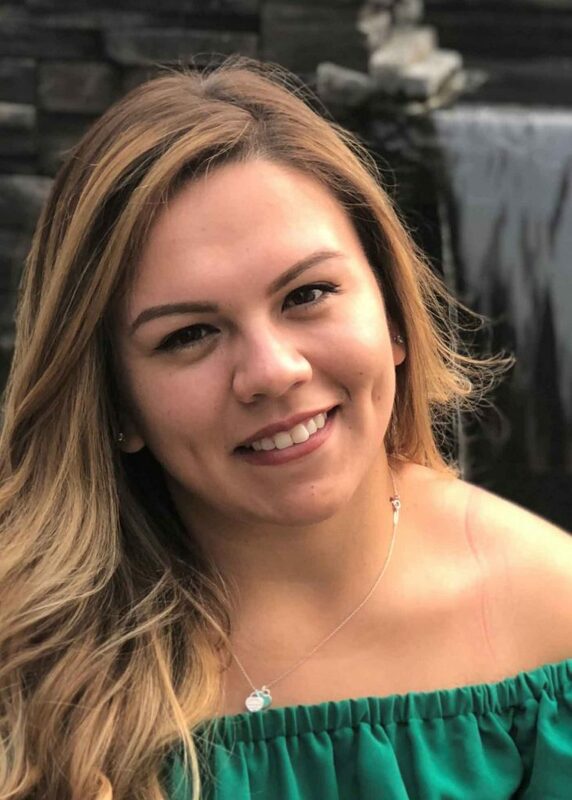 Nicole graduated from the University of Western Ontario with a B.A (Music), and has always been heavily involved in the musical arts thanks to her parent’s support. Her studies began with piano lessons in Mississauga and from there blossomed into a life-long dedication to classical and jazz piano. 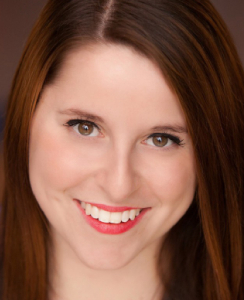 Nicole has always expressed interest in solo performances, as well as being involved with musical theatre productions across the GTA over the years. Nicole’s teaching approach is very personalized and focuses making the journey towards musical mastery one that is fast, foolproof and fun. With over ten years of experience she has been able to ensure that her students are kept engaged and on target to achieving their goals. There’s nothing more fulfilling the for student, teacher and parent, than watching a student grow and learn to love music. Chantal loves teaching piano and playing the piano. Chantal holds a Associate with the Trinity College of London (ATCL). 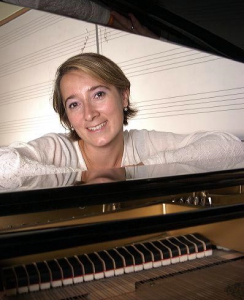 Chantal’s artistic experience includes 20 years as a competitor, performer and accompanist. Chantal is exceptional at caring for her students and nurturing their talents. Chantal enjoys encouraging students and answering questions ranging from the fundamentals to the more advance questions of musicality. Chantal likes to use supplemental books in teaching her students such as classical, pop, jazz, blues, Christian, favorites and Christmas music on each student’s level to give a balance in their musical journey. Her students refer to her as a very patient and understanding teacher. She strives to create an atmosphere that will motivate each student to not only play music, but to love making music! With Chantal’s teaching style, students not only learn music theory and musicianship, but they also learn important skills such as self-discipline. They are taught the benefits of staying committed to a long term goal, even when it’s challenging. Originally from Thunder Bay, he studied music at Lakehead University until he moved to Toronto in 1998 to enrich his skills in music at Humber College. He has toured Canada, performing from the east to the west coast and he has become an in-demand session man, appearing on several albums. He has prepared students for Royal Conservatory of Music examinations, and for entrance into music programs in universities and colleges such as Humber College and the University of Toronto. Santiago is a musician, song writer and producer extraordinaire born and raised in Colombia where he studied music at the UNAB University. For a time he moved to Europe to pursue his solo career, and there found himself performing with several bands, while also recording and touring. He loves the guitar, and it’s amazing to watch him work at creating unique sound and melodies. When he plays you can hear influences of Slash, Stevie Ray Vaughan, Compay Segundo, Steve Vai, Carlos Santana and Eddy Van Halen. 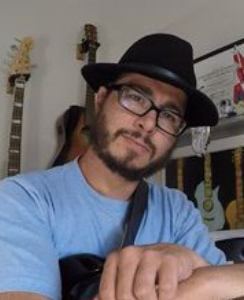 Santiago enjoys working with students of all ages, from the youngest beginner to the adult student, whether they want to play for pleasure or wish to have a career in music. He wants each student to become the best player they can be, and he loves introducing students to funky new beats. His enthusiasm is contagious and you’ll soon find yourself mirroring his positive attitude and tone. Juno and Gemini award nominee Richard Fortin is an accomplished composer, arranger, and producer whose work encompasses a broad spectrum of musical production that includes television, films and studio recordings. 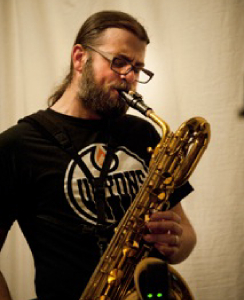 During an active music industry career spanning over 25 years, Richard has played in numerous bands covering everything from rock to classical. Richard is a gentle and patient teacher, and he has a knack for helping students to learn quickly and intuitively. An avid learner himself, he’s always willing to explore all styles of music, and gladly charts songs for his students. Over the years, Richard has developed his own teaching materials to help each student develop skills in reading music, improvisation, composition, playing by ear, and overall guitar technique. Originally from Montreal, Richard also offers lessons in French. Richard has a Bachelor of Music Degree from the University of Montreal. Listen to Richard play – Led Zeppelin Medley. Andrew began his studies at the Royal Conservatory of Music with James Brown. 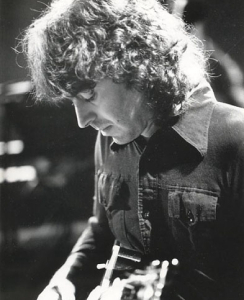 He quickly grew a substantial repertoire and gained a strong appreciation for the guitar. A Mississauga local, he graduated from the Regional Arts Program at Cawthra Park Secondary. He recently completed his Bachelor of Music – Performance from the University of Toronto. Andrew enjoys teaching beginners and young students but is comfortable teaching all levels of students, regardless of age. He enjoys sharing his knowledge about musical theory, arrangement and song writing. 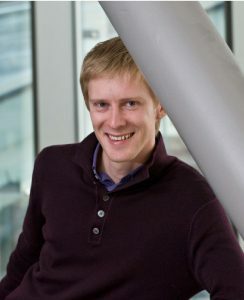 Andrew is always interested in trying new repertoire and encourages his students to do the same. Alla enjoys teaching students of all ages violin and piano and has over 30 years of experience. She always tailors her lessons to meet the age and musical interest of each students whether they are playing just for fun, or getting ready for an Royal Conservatory of Music examination. Alla holds a Bachelor of Music and Violin from the Novosibirsk State Conservatory. Alla blends her experiences of performing and teaching all musical styles from classical to modern to ensure students enjoy learning at every lesson. Alla is patient and she loves to teach! She’ll cover all playing such as note reading, ear training, and proper playing technique to help each student to play with a beautiful sound. Lily is fun and dynamic music teacher. 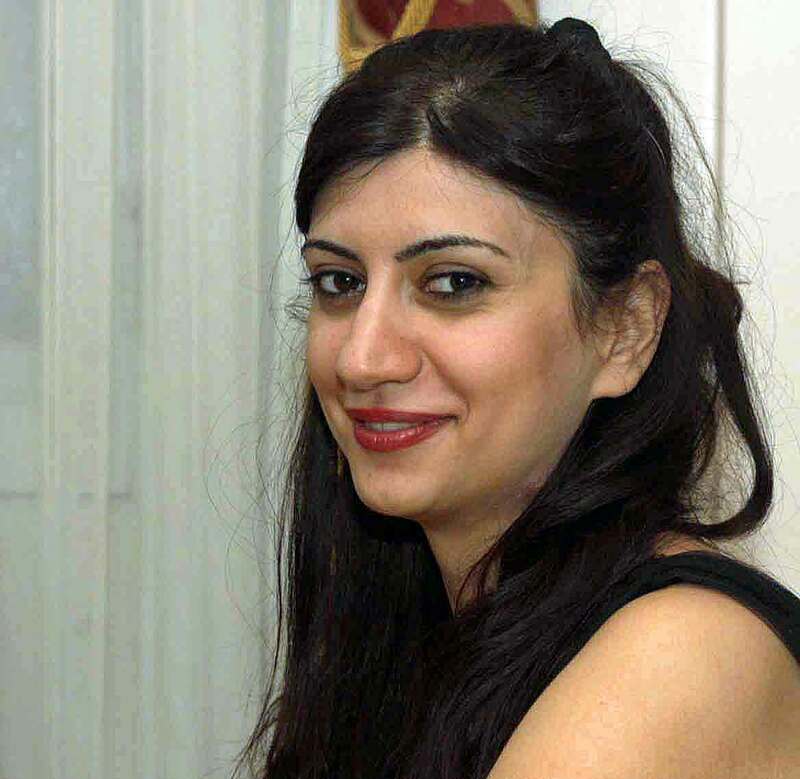 Lily received her Masters and PhD in music at Royal Conservatory of Armenia. Lily has numerous first place prizes in international violin competitions. She represented the Armenia State Trio. In addition, she was the principal 2nd violinist of Armenia State Philharmonic Orchestra for 15 years. 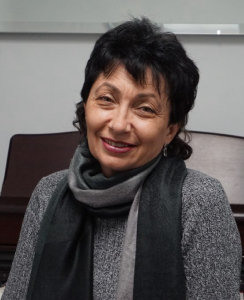 Lily has been teaching music for over 10 years at Royal Conservatory of Armenia, and has been teaching music in Canada for the last 5 years. Lily’s students have achieved 1stplace prizes at the Peel festival, while others achieving RCM marks of over 90. She teaches students of all levels from beginners to advanced. Lily is very excited to instill her love and passion for music to her students, by making lessons fun, interesting, but with a strong focus on the fundamentals. Her lessons emphasize on theory, ear training, musicality, and creativity. Lily also encourages students to participate in local music festivals, RCM examinations, and concerts. As a professional singer, dancer, and actor, Kati holds a BMus degree in voice from Queens University and an M.Mus in musical theatre performance from the University of Montana. Kati holds Grade 8 Piano and Grade 10 Voice certificates from the Royal Conservatory of Music. She is also a member of the National Association of Teachers of Singing and has worked extensively as a director, music director, and choreographer for high school productions, community theatre, charity events, and summer camps shows. Kati is trained in ballet, jazz, tap, lyrical, acrobatics and musical theatre dance. Kati offers regular musical theatre clinics to help students improve their stage presence and performance skills.